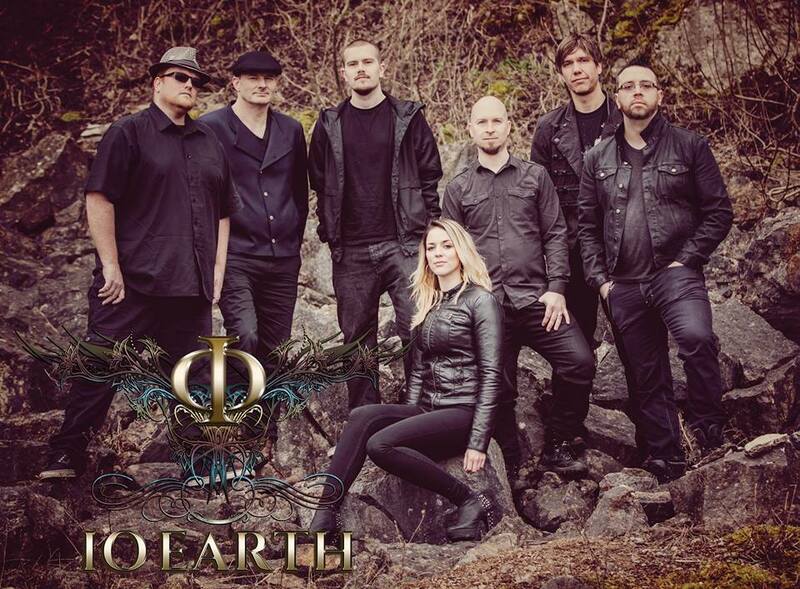 The new album from IOEarth could quite possibly be the most definitive example of “mixed bag” I’ve ever seen. I had heard this same thing about their first two albums, “IOEarth” and “Moments”, but did not agree with that assessment. Their previous albums were full of things you would never hear anywhere else, and the amount of variety therein was astonishing and beautifully pieced together like a giant world puzzle. Furthermore, those two albums were full of headspinning guitar solos, powerful ethnic passages, overwhelming orchestrations, and some of the most unique vocals (both male and female) that I’ve ever heard. Certainly, this band set out to make music that no one else does, and they succeeded on many levels. So original were they that it was often difficult to pinpoint influences beyond Pink Floyd and the like. The band have, however, released their third album, “New World”, and with it comes a host of changes that have shaken my faith in them somewhat. New faces are abundant here; the most notable being the replacement of Claire Malin with Linda Odinsen due to Claire’s health issues. The rest of the band is: Dave Cureton on guitar and some vocals; Adam Gough on keyboards, guitar, and theremin; Luke Shingler on saxophone, flute, and EWI; Jez King on violin and guitar; Christian Nokes on bass; and Christian Jerromes on drums. As you can probably guess, the album is full of rich variety in instruments. However, it is the way in which they are used that drives me up a wall with this album. Yes, “New World” is a double album. It is hugely ambitious, and quite probably way too long. Honestly, it is difficult to get through in a single day, let alone one sitting. That is not to say that there are even highs and lows on the album, though. I find that my enjoyment level remains about the same throughout the album. For that, I applaud them. ”New World” is consistent, full of heart, and certainly definitive of the progressive genre. Cureton’s guitars are immense! I can’t imagine anyone passing him up this year, as I certainly think this is his best performance on any of his albums. Just when I thought he would lay off a bit, he takes the soul, technicality, and pure beauty of his chosen tone to higher and higher levels. Cureton is definitely one of the best around today. On top of that, I have to mention the beautiful sounds of Luke’s saxophones. Every time they appeared, my ears perked up and gave full attention. I think it’s his style of playing that I like so much: jazzy, but totally different. I obviously have my problems with “New World”, however. I have three, and, for me, they are fairly big. First, as great as Linda sounds, her vocals pale in comparison to Claire’s, though I know many disagree with me here. I feel like Linda wasn’t quite ready to take on some of the huge notes or the delicate lower passages that require so much control. All in all, the vocals did mar my enjoyment of the album, especially since I was hoping for more of the breathy male vocals on “Moments”. Second, I feel like the variety of instruments is used in a gimmicky way. Instead of creating the music with these instruments, I feel like they just threw in a solo here and there. IOEarth has always wowed me with their ability to compose music directly with these more uncommon instruments, but this time around they save them for specific moments. There’s nothing wrong with that (they sound spectacular), but it does lower my opinion of the album. Lastly, the focus seems to have shifted to technicality over immense beauty and unique ideas. Much of “New World” sounds like anything else out there, and it even dabbles quite a bit in a more progressive metal sound than previous albums. Perhaps that is due to Christian’s thrilling drumming style that just feels right for heavier music, or maybe David wanted to shred a bit. Either way, the album is not nearly as unique, beautiful, or rich. Indeed, one word that has always described their music is “lush”, but I hear none of that on this album, even with the foresty cover art. So, is “New World” worth your time? Definitely. I honestly disliked “Moments” for a year or so after release, so hopefully this will grow on me, too. I do have some favorite songs, those being “Journey to Discovery”, “Trance”, “Morning”, “Collision”, “Red Smoke” (awesome last few minutes), and “Colours”. Some of these are instrumental, as I found their instrumental tracks to be far superior this time around. This is enough for me to want to buy a physical copy, and I hope I can update my opinion somewhat after that. If you like big orchestral breaks, crazy soloing of many types, and odes to a better world, “New World” is for you. It is definitely one of the most complex albums of the year, so be ready for it. 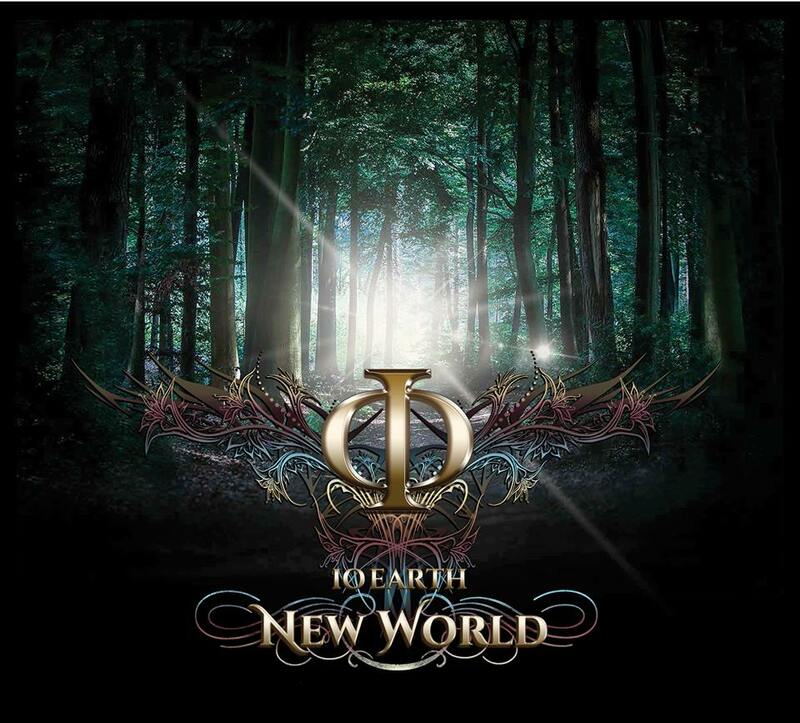 You can buy “New World” on the IOEarth website.